Over the last several years deer hunters in Illinois have noticed a declining deer herd. They have begun to wonder “where have all the deer gone.” Some theories on the declining numbers are wild and outlandish while others are well rooted and scientific. 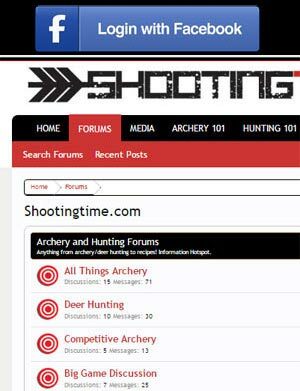 Shootingtime.com was contacted about the subject of deer culling by a concerned and avid Illinois deer hunter, Jeff O’Hare. Jeff has done quite a bit of research and is passionate about the health and population of one of Illinois’s greatest treasures, its deer herd. Jeff is aware that CWD is a threat but wants to make sure the right control measures are used so the herd can grow back to its former levels. We recently had the pleasure to talk Jeff about deer culling, CWD, and the well being of the Illinois deer herd. Shootingtime.com: Jeff, after looking over some of your work and your Facebook page, I can tell that you are firmly against deer culling in Illinois for chronic wasting disease (CWD) management. What are your reasons? Jeff: In the last couple of years, the amount of deer seen by hunters has dropped drastically. The 2013 harvest statewide was down 25% from the previous year. When questioned about the substantial drop in the harvest, the state replied that “the numbers were only slightly down from the previous year.” In this case, the “previous year” was a record low year. When numbers are down from an already record low year, this indicates a serious problem. We may be witnessing the collapse of the Illinois deer herd. Shootingtime.com: Do you have any statistical information showing that “deer culling” is not an effective way to manage CWD? Jeff: What’s in question is the severity of the disease and the threat it poses to the herd. The initial letter released to hunters in January of this year stated the ongoing culling was for further medical study. When asked about this “further medical study” the state replied, “Localized population reductions have been the only method that has demonstrated an ability to minimize the increase in CWD”. The sudden flip in reasoning is easy to perceive that as misleading. To manage a deer population that receives little to no conventional hunting pressure. To effectively lower a deer herd’s numbers with sharp shooters when traditional hunting methods aren’t achieving desired harvest numbers (1). Back in 2013, Wisconsin claims the IDNR’s culling program to have been a success. It was also the year of a bad drought and devastating EHD outbreak that drastically reduced many herds. 2013 also coincides with an increase to 59 CWD cases in Illinois (2). Somehow Illinois has managed to keep its deer harvest totals within a couple hundred from 2003-2013 in CWD infected counties. Jeff: When you say “only a couple hundred” keep in mind counties like Grundy County. In Grundy County only 300-500 deer are harvested annually. In low harvest number counties, a few hundred is all the difference in the world. Be very careful comparing Illinois’s approach to the one taken by Wisconsin’s DNR. 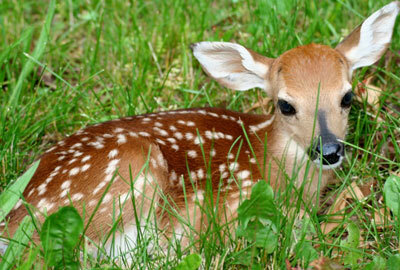 Wisconsin’s deer management program may go down in history as one big blunder. I’m fairly certain the ineffectiveness of Wisconsin program has cost several state employees their jobs. Shootingtime.com: Current data (2013-14) actually reflects a 49% increase in chronic wasting disease in Illinois. In your opinion, what is the best method the IDNR could use to take CWD samples in the future? 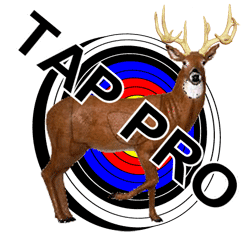 Jeff: There are ZERO deer tested during archery season and ZERO tested in the late seasons including “CWD” season. The opportunity to test is there with animals harvested by the hunters. It’s wrong that so many deer are harvested throughout the seasons yet go untested. Thousands of opportunities go to waste each year. That’s what makes it so easy to question the DNR’s motives. I believe the strategy in place seems “not effective” because of the number of cases claimed to be out there still. It’s a moving number to support “culling”. I don’t believe chronic wasting disease is being mismanaged. I do question the driving factor for culling. During the aggressive culling we experienced the last couple years, we were told the disease is still on the climb. Do we question the management strategy or do we question the integrity of the numbers given? Shootingtime.com: What do you believe is the actual objective is behind the culls? Jeff: Herd reduction or eradication funded by God knows who at this point. My guess would be that a few insurance companies and the Farm Bureau might be in a better position to answer that. Shootingtime.com: Put yourself in the roll of Director of the IDNR. What would your management strategy be to control the spread of chronic wasting disease? Jeff: I would need crystal clear confirmation that chronic wasting disease is as wide spread as reported; if herd reduction was deemed necessary. Offer more hunting opportunities such as starting archery season earlier and a longer youth season. Hunters would have an opportunity to actually put the resources to good use (mainly the meat). The opportunity to sell more permits would also drive more revenue to aid in further research. Shootingtime.com: It’s clear you are not for culling in this situation, are there any situations where you believe the use of culling/herd reduction is needed? Jeff: Only in areas absolutely over run with deer. 50+ deer per square mile based on the habitat and location of that deer density. Shootingtime.com: Jeff that is all I have for you. What would you like to add that I may have left out of my questions? Jeff: Why hasn’t the IDNR been more open or approachable for hunters? We buy licenses, permits and habitat stamps. We (residents) pay property taxes, we DO have a financial (dare I say legal?) interest in how the herd is handled. Hunters should have some type of say in how it’s done! Shootingtime.com would like to thank Jeff O’Hare for taking the time to speak with us and discussing his concerns with what the IDNR is currently utilizing to control CWD. Judging from our interview with Jeff, there may indeed be other agendas behind the aggressive deer culling taking place across Northern Illinois.